Apr. 13, 2019 -- No dance! Go to NEFFA! March 23, 2019 -- Open Band! 3 HOT summer dances at the Thetford Pavilion! May 26, 2018 SPECIAL DANCE -- Eloise & Co.
Mar. 10, 2018 -- Birl returns! Sept. 24, 2016 -- Shindy -- location changed to E. Thetford Pavilion! Hey, dancers and hot contra music lovers--join us January 9 and turn up the heat! 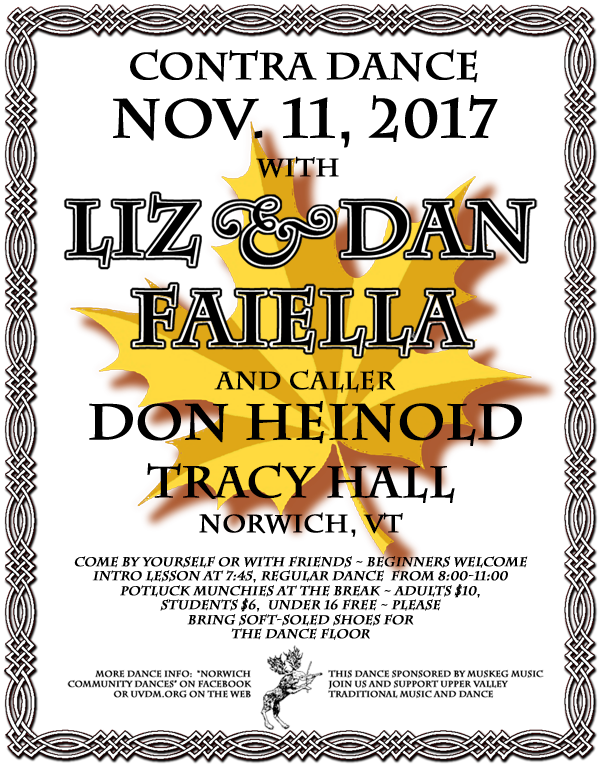 Don Heinold, based out of Rhode Island, has been calling all over New England for over 7 years. Don is well known as a caller, waltz instructor and dancer in the greater RI, Central MA, Central & Eastern CT, and Southern NH areas, sought out for established regular dances, parties, and weddings. He was the organizer of Mostly Waltz RI and is frequently asked for lessons. You'll also find him at the 31st Annual Ralph Page Dance Weekend at UNH in mid-January, 2018. You can see more of what Don's up to in his schedule on Facebook.